PayrollHero allows you to export the attendance collected in the app from all your employees into a spreadsheet. 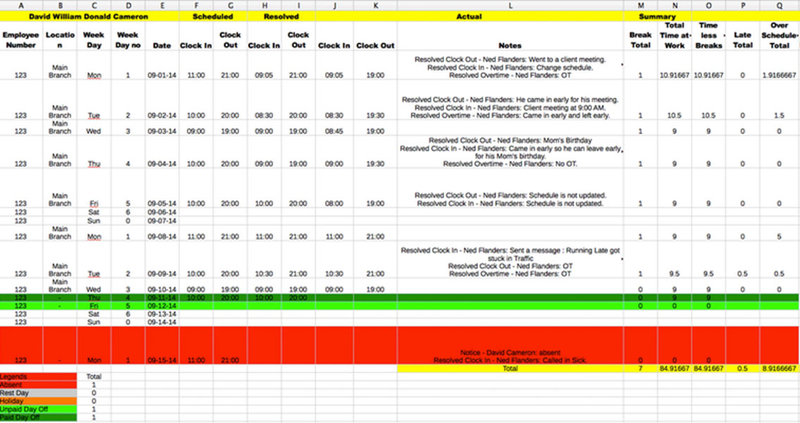 There, you can see your employees' scheduled time, resolved time, actual time, and overtime. You can conveniently import this data into a payroll platform of your choice.